The origins of the brand K2 back to 2004, when MAG-KRAK Sp. Jawna (founded in 1993) had introduced in offer the diamond discs successfully gaining confidence of the faithful, but demanding users. 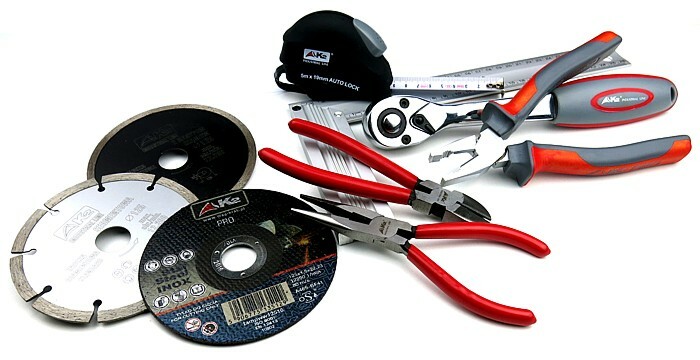 The next step was to extend the range of accessories for power tools: abrasives discs , drill bits for masonry and concrete and metal drill bit high speed steel. Subsequent years have brought rapid development of both assortment and strengthening market position by maintaining expected by customers competitive balance between price and quality level. K2 brand offer is addressed to professional users, making it a priority for us is to meet the high expectations of quality. This would not be possible without the many tests carried out at each stage of introducing the tools to offer. Invaluable support we have from amicable professionals and practitioners from various sectors who, through all the years of brand building support our internal quality control department with tests and critical opinions. It’s thanks to you that once we become better! Our biggest success are loyal customers who see the passion and commitment to building long-term relationships, so that continues to develop in a highly competitive Polish market. We are also proud that our brand K2 reach European markets, which further assures us that the efforts put on reliability and durability of our tools are the right direction.